The occasion is the 50th wedding anniversary of Max and Adele Bogner, seated in the center of the photo. 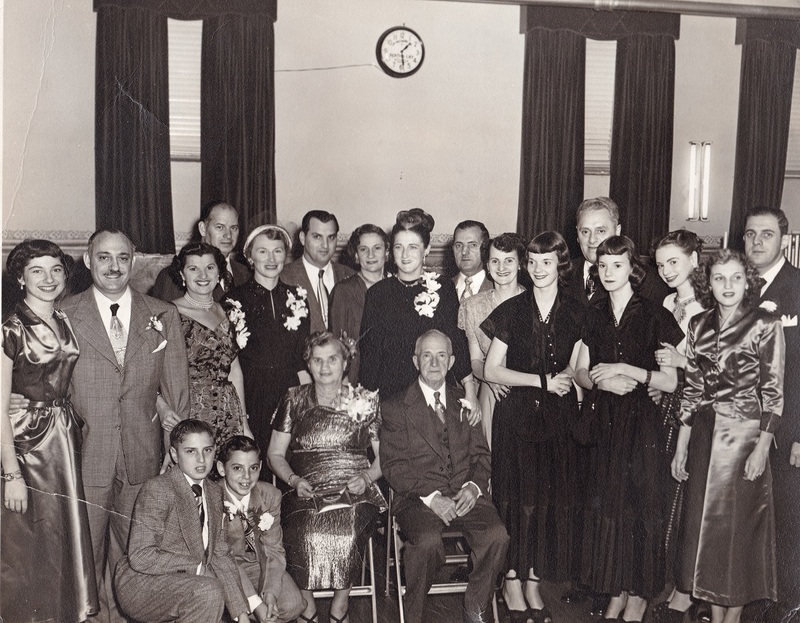 Starting from the left is Gail Kesselhaut, Harry Kesselhaut, Julia Bogner Kesselhaut, William Bogner, his wife Frances, Henry Bogner, Rita Kesselhaut Bogner, Margaret Bittlingmeier Bogner, Jack Bogner, Madeline Bogner McMenamin, the McMenamin twins Joanne and Jocelyn, with their father Paul McMenamin behind them, June McMenamin, Jackie Bogner, and June's husband. Kneeling in front are Ronnie Bogner and Alan Kesselhaut.